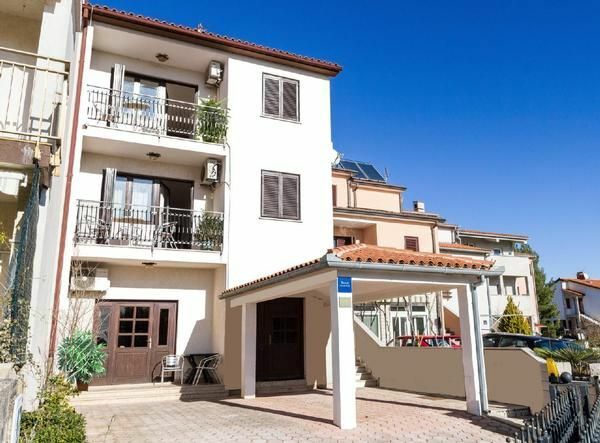 Well equiped apartment in the family house located in the residential Pula area just 1,5 km distant from the holiday resorts and nice beaches. City center is reachable within 2 km offering vibrant summer atmosphere, green market with home grown vegetables, fresh fish, honey, olive oil ... The ancient city squares, pitoresque streets filled with noises, aromas and effects create vivid ambience for ralaxing evening walks. Roman Amphiteater is the scene for many cultural events, concerts, operas, balley.. The 4 bedroom apartment with nice covered balcony furnished for the get-togethers is perfect choice for big families or friends spending holidays together. Big covered balcony with fireplace and barbecue is on disposal for the clients. Wi-fi Internet, parking and aircondition (1 in the living room on the ground floor and 2 in the bedrooms on the 1st floor) are included. On the same property there is another holiday apartment for 4 persons.